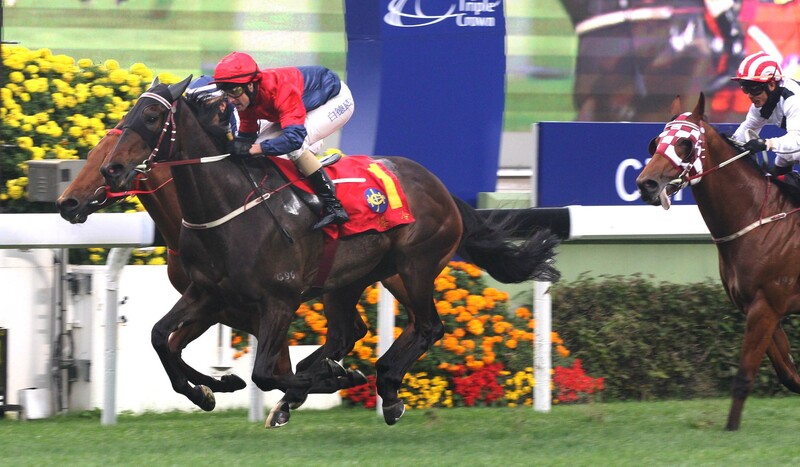 It would be an understatement to say that many of us worried for Darren Beadman when, in 2012 in Hong Kong, a shocking fall off a horse that collapsed during a barrier trial, called time on what had been a spectacular career. He deserved more than to bow out of a sport for which he had given so much with life threatening injuries. 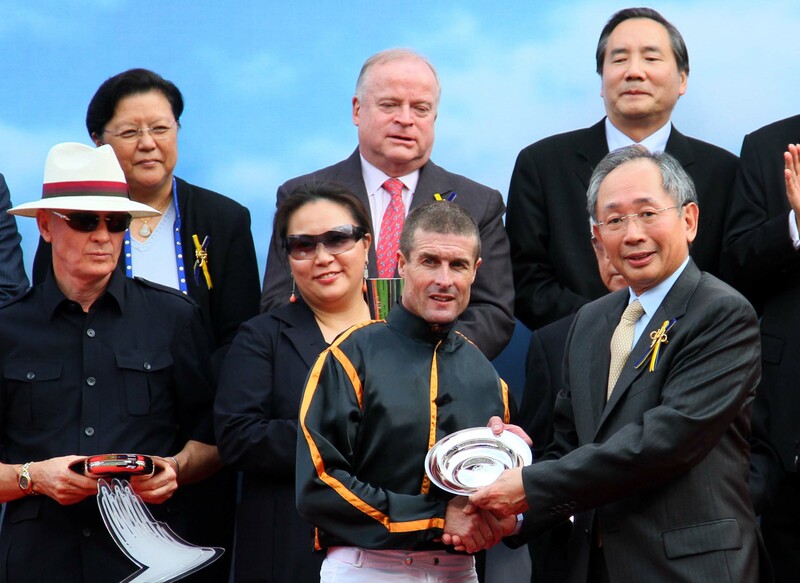 In Hong Kong, Darren Beadman was far more than being the “stable jockey” for trainer John Moore. 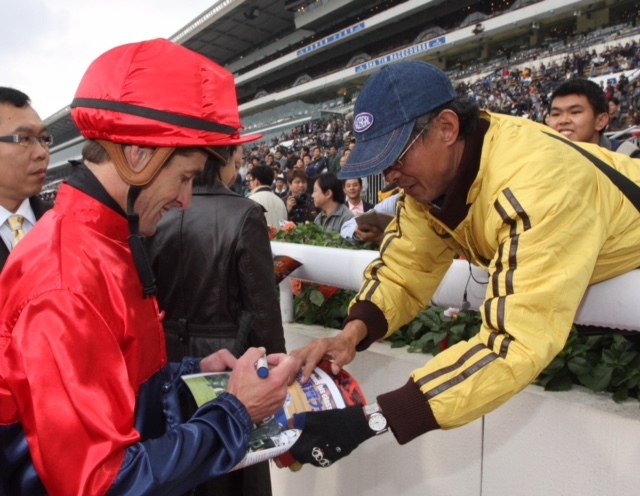 Being the legendary rider that he was- definitely one of the greatest riders to emerge out of Australia- here was a knowledge horseman who came to Hong Kong in 2007, and played a much greater role in the success of the Moore yard than was obvious to the casual race goer. 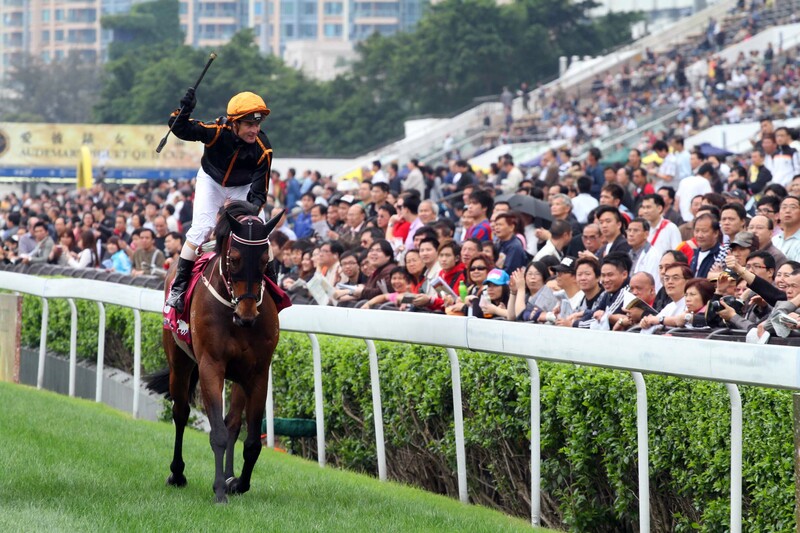 It was a real team effort when the partnership was in full flow with winners on some of Hong Kong’s greatest horses like Xtension, Collection, Viva Pataca, Able One and so many others. 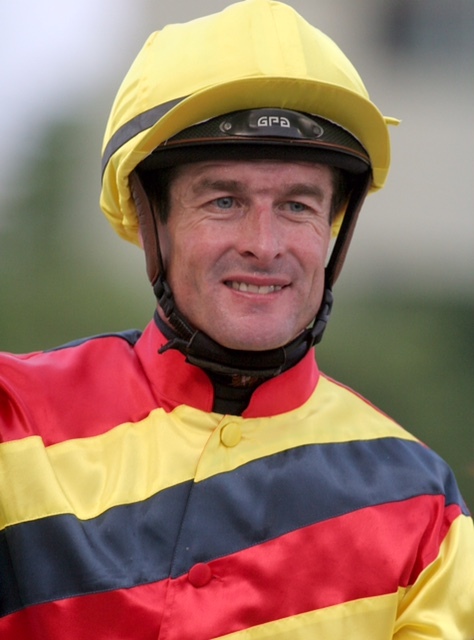 It was, in fact, Darren Beadman who helped John Moore win his first Hong Kong Trainers Premiership after a twenty year wait. A tough task master who had gone through a number of excellent jockeys like the late Noel Barker, John Marshall and Brian York, “The Dazzler” lasted longer than most who have worked with and for John Moore. It was a mutual admiration society. Then came that career-ending fall, and after undergoing therapy and one of those periods that have afflicted many of us in one way or another, when we’ve lost our way going through one of those dark passages of time and life, the tremendously popular former rider joined Godolphin in Australia as Assistant Trainer to John O’Shea. That was around three years ago, and it was great just to have this brilliant horseman back in the sport. Darren Beadman might have been in a co-starring role, but it didn’t matter. The Dazzler was back. He was fit, his family unit was solid, and he was active doing what he loved best: Being involved in horse racing. After the now well-documented split between O’Shea and Godolphin, Darren Beadman was recently named interim trainer for the racing organisation. On Wednesday, he made his debut in this new role. And what a great start it was with the “interim trainer” saddling up a double at Canterbury, and proving that “interim” could very easily become something permanent. 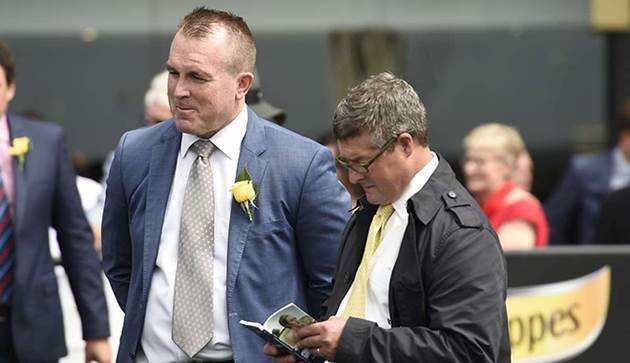 Yesterday, he trained the winner of the Scone Cup, and we’re suddenly seeing a fully fledged trainer succeeding at a very high level in rapid quick time. A miracle? A gift from a higher power? For the man so closely associated with the brilliant galloper Saintly, who knows? Listening to an interview yesterday on RSN with Michael Felgate and Simon Marshall about the chances of his runners over the next few days, Darren Beadman was articulate, he held nothing back, and was extremely knowledgeable in his assessment of each horse- not easy when you’re representing an operation as massive and demanding as Godolphin. The Dazzler sounded confident, relaxed, more than equal to his new challenge, taking everything in his stride, not getting ahead of himself, and seeing where and how the pieces will eventually fit. Welcome back, Champ. Perhaps one day very soon, you’ll be back in Hong Kong representing Godolphin in a Group 1 International race, winning it, and proving that you were always destined to be more than an “interim trainer”, or someone’s “stable jockey.” What sweet irony that would be! This entry was posted in Australian horse racing industry, DARREN BEADMAN, Hong Kong Jockey Club, Horse Racing, HORSE RACING AND SOCIAL MEDIA, JOHN MOORE, JOHN O'SHEA, Racing NSW, The horse racing industry and tagged "Collection", Able One, Brian York, Darren Beadman, Godolphin, John Marshall, John Moore, JOHN O'SHEA, Michael Felgate, Noel Barker, Scone Cup, Simon Marshall, Viva Pataca, XTENSION. Bookmark the permalink. I was lucky to follow the Godolphin training team around for a month when I was on the Darley Flying Start. I went to every NSW meeting that Godolphin had a runner in for that month with John and/or Darren. Darren’s enthusiasm was second to none, and his love for horses second to none also. One of the strappers needed to go to the bathroom so we stood with her horse while she did. By the time she got back, Darren had picked out the horse’s hooves, painted them, and brushed the horse. No job too big or too small for the Dazzler. Great person. Could not happen to a nicer guy. The best Oz jockey I have seen.